Amazon is back with an amazing Flash sale. In this time it is offering lenovo vibe k5 at rs. 6999 only.The device is powered by a octa-core 415 snapdragon processor paired with 2GB of RAM. It offers 16GB internal storage and users can also install a microSD card of up to 128GB. So hurry up and grab this amazing phone at great price now. Flash sale will be live on 22nd june 2016 at 2 PM. 3. click on register now and thus, you had successfully registered for the upcoming sale. 1. on the 22nd june 2016 visit Here few minutes before 02.00 pm. 3. Enter your Address and Contact details. 4. Select suitable payment option and Make the payment. 3. New Screen Appear On this tab. 5. Then Press enter button to run this script 5 minutes before the sale. 6. This script will starts automatically clicking on Add to Cart button. 7. That's it . 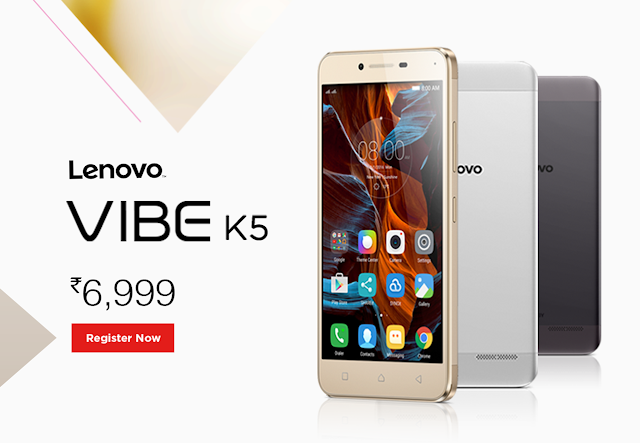 lenovo vibe k5 will be added to your cart. Now select suitable payment option and place your order.